Courtesy of Jose Luis Larrosa, Pulau, Perhentian Besar, Malaysia. 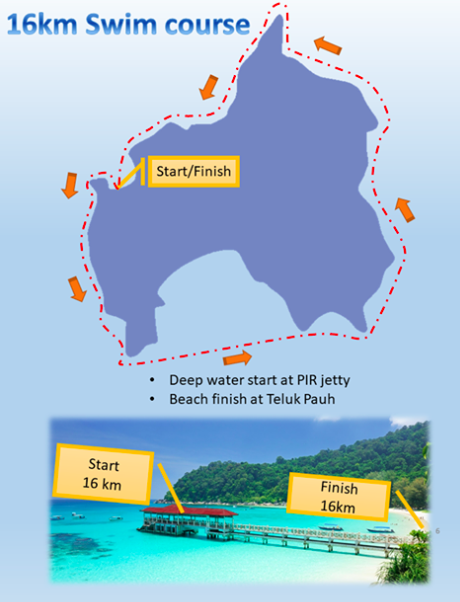 Yesterday, 37-year-old Jose Luis Larrosa of Spain won the Perhentian Island Marathon Swim, a 16 km circumnavigation swim held around Pulau, Perhentian Besar, Malaysia in 4 hours 7 minutes. 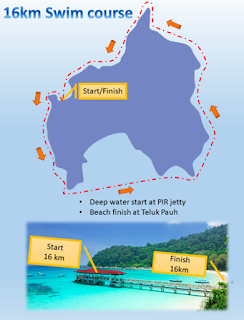 The event with 25 participants in the solo race, 10 two-person teams in the duo race, and 5 teams in the 4-person category is the second-to-last race on the 2018 Malaysia Open Water Swimming Series. Larrosa said after the race, "I couldn't enjoy more this event with friends, workmates and swimmates. I want to extend my congratulations to all the swimmers in the solo division, duo division, relay teams and in the 4 km race. It was a perfect event."